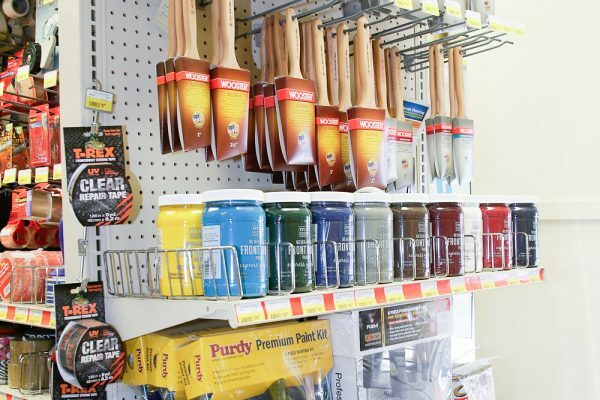 Woodstock Hardware has an extensive assortment of painting supplies and products, paint sundries, for a wide range of uses. So, whether you are a homeowner, commercial property owner, an interior designer, a painting professional, or are responsible for building maintenance, Woodstock Hardware has the painting supplies and expertise to help you successfully complete your painting project. And when reviewing Woodstock Hardware’s extensive selection of painting supplies remember we offer one of the widest selection of quality interior and exterior paint selections in the Hudson Valley including paints and stains manufactured by Pittsburgh Paints, Sherwin Williams, Cabot Stains, Rustoleum, Krylon, Zinnser, Thompson’s, and Sikkens. You can check out our Paint, Stain and Varnish Department here. Our professional staff can work you through every step of your paint project. This includes determining the best way to clean, prepare, prime, and paint your surface, room, or building. When you partner with Woodstock Hardware there is no need to “worry” that you are going to make a mistake from “not knowing.” We work hard to make sure every customer “knows” what they need at each step of their paint project. Knots that keep bleeding through your paint. Over the past twenty-five years Woodstock Hardware has developed the technical expertise to handle these and other problematic paint situations. 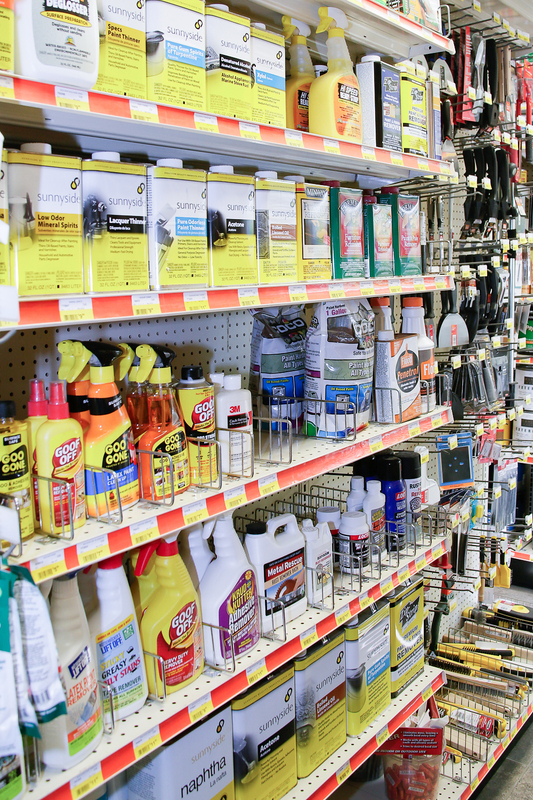 When it comes to “how to” advice, Woodstock Hardware is the place for professional help. Whether you are starting with a new, unpainted surface, dealing with a problematic peeling surface, or just repainting, we’ve got the know-how to help you. Please visit Woodstock Hardware’s How-To Tips before starting your next interior or exterior painting project. If you are working on either an interior or exterior staining project you can find valuable information about staining furniture, floors and timbers, decking, and siding in Cabot’s extensive How To Guides to help you along. In addition to the extensive selection of Painting Supplies Woodstock Hardware can also provide you the technical expertise required to help you make sure you will successfully complete your paint project. Here are a few tips that should come in handy preparing for and completing your next paint project. You can learn more about Pittsbugh Paints and Cabot’s Stains by viewing our Pittsburgh Paint & Cabot Technical Brief here. If you are unsure of, or want help, picking out a color for your next project you can visit PPG Pittsburgh Paints website and use the Voice of Color Virtual Painter. As you can see Woodstock Hardware is a destination for painting supplies for a wide range of users. Coupled with their extensive line of paints and stains, and over twenty-five years of “on the job training” Woodstock Hardware has one of the finest paint departments in the Hudson Valley. So, the next time you are planning a paint project, and you need a cut in brush, maybe an 18”-wide roller for a big job, a hook to hang your bucket from a ladder, or a simple bag of rags, Woodstock Hardware has the products and supplies you need.